Count on Sarka! 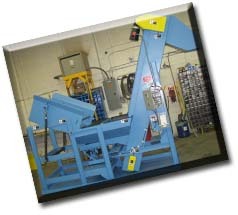 We provide innovative, creative and custom solutions for all of your material handling system, automation and metal fabrication needs. Sarka has the expertise, diversity, craftsmanship, quality and geographic footprint to make your next project a success. Expertise: With more than 25 years of proven success in problem solving, creating, designing and building; Sarka can address all of your needs with one phone call. Let our Engineering and Design Group provide a unique and innovative solution utilizing our total in-house capabilities: Engineering and Design, Machining, Welding and Fabrication, Painting, Electronic Assembly (PLC), Maintenance and Programming Services. 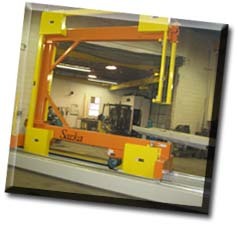 Diversity: From material handling systems; machine design and parts, racks, Automated Rail road car unloading systems (CARHOE TM), Sarka provides innovative solutions to our clients. Let us help you with your next design project. Craftsmanship & Quality: Our customers rely on us when it comes to quality solutions. Sarka can meet the specific needs of your business. 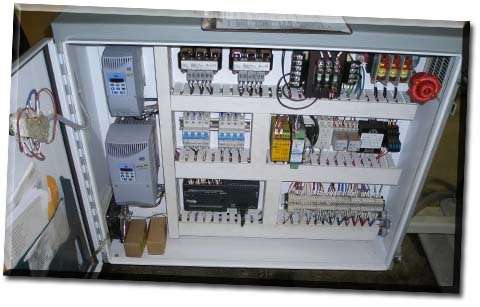 We utilize the latest technologies combined with our old world craftsmanship to ensure the best custom solution. Geographic Footprint: Sarka creates and delivers solutions for local, national and international companies. Let us create a unique solution for you. If you want more information on how your material handling system can reach the next level, how to implement safer machinery or how much you can save from automation, contact Sarka today at sales@sarkaconveyors.com. 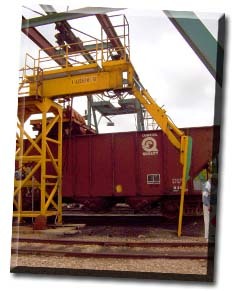 Let us create a unique solution for all of your material handling system, automation and metal fabrication needs.